Nicole was looking for a photographer to do newborn pictures Bay Area when she found me on Yelp. 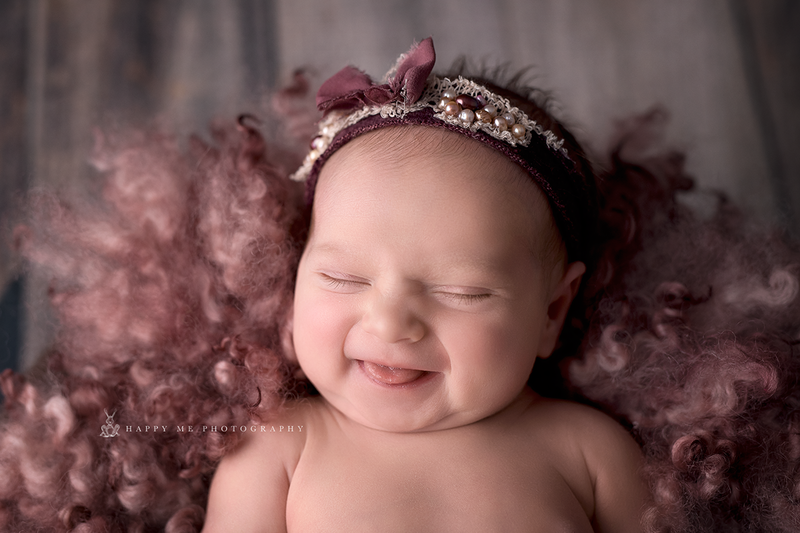 Baby Charlotte came to Happy Me Photography for her newborn session. 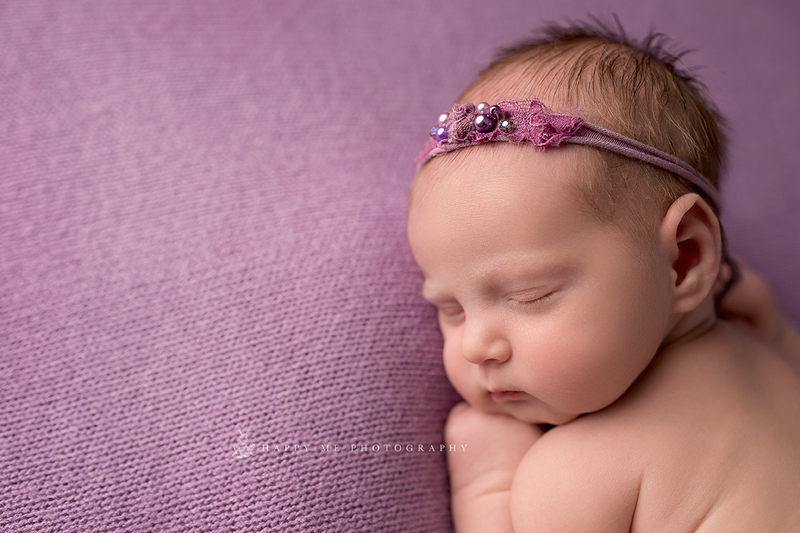 We started off the photoshoot with Charlotte wearing a thin purple headband laying on a matching purple backdrop. In one of these pictures, she is snuggling with a tiny stuffed animal and is resting her head on her open hand. I was able to get some full body shots as well as a close up of her rosy cheeks! 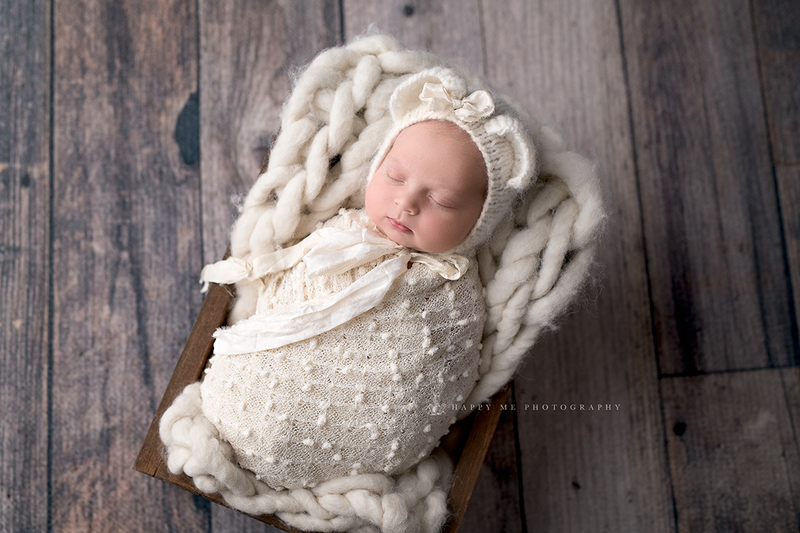 Next we dressed Charlotte up in a white hat, wrapped her tightly in a white blanket, and rested her in a wooden crate with a white knitted blanket. It must have been exhausting for her because she let out the cutest little yawn! Luckily I got a picture of it just in time. 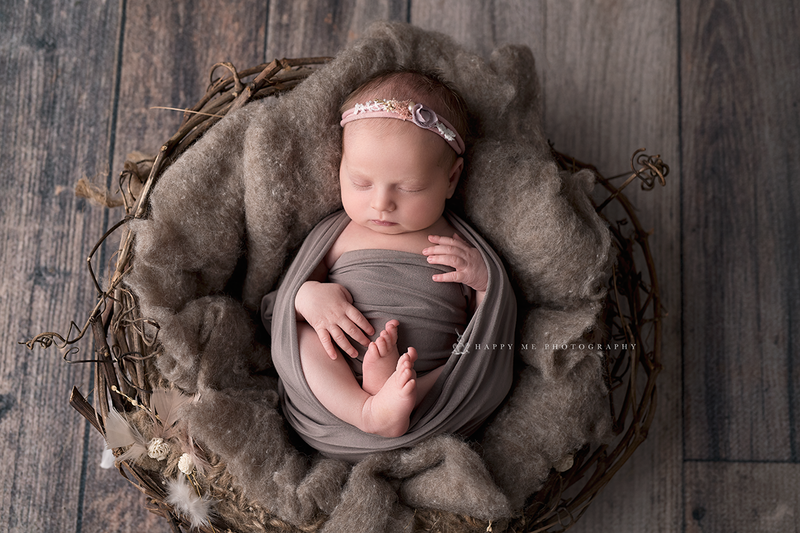 The next series of photos had Charlotte wrapped in a swaddle, but her feet and hands were exposed. She was in a round basket with a brown blanket in there. In these pictures, you can really see Charlotte’s hair! We added a pink headband about halfway through, then we traded the headband for a knitted cap. Charlotte decided to untuck one of her legs and the picture I got was adorable! We did another outfit change and Charlotte woke up! She was giggling and sticking out her tiny tongue. 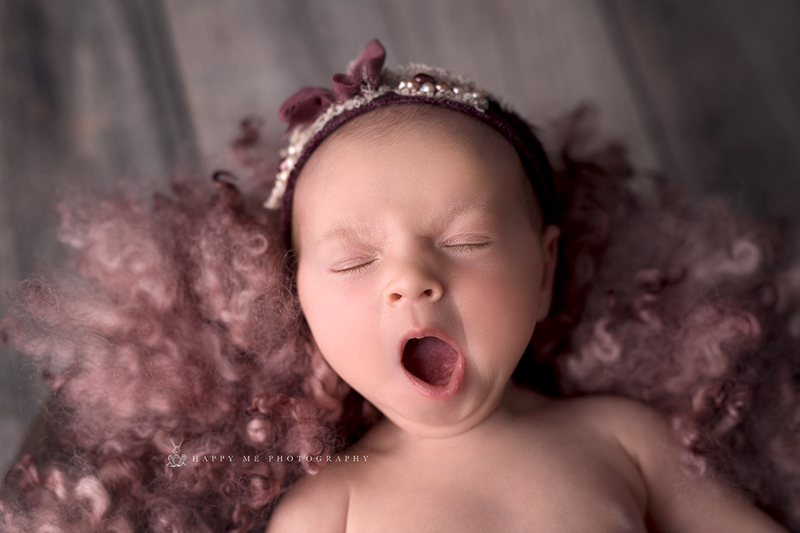 All that cuteness wore her out, which worked out great for another yawning photo! Toward the end of her session, we included pictures with mom, dad, and her three-year-old big brother! We did some family shots and also ones of them all individually with Charlotte. 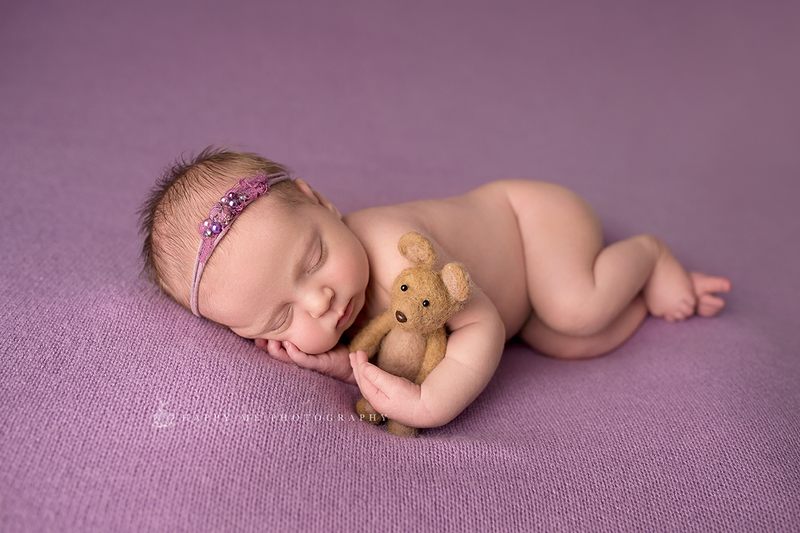 We wrapped Charlotte in a purple swaddle while the rest of the family wore blues and grays. 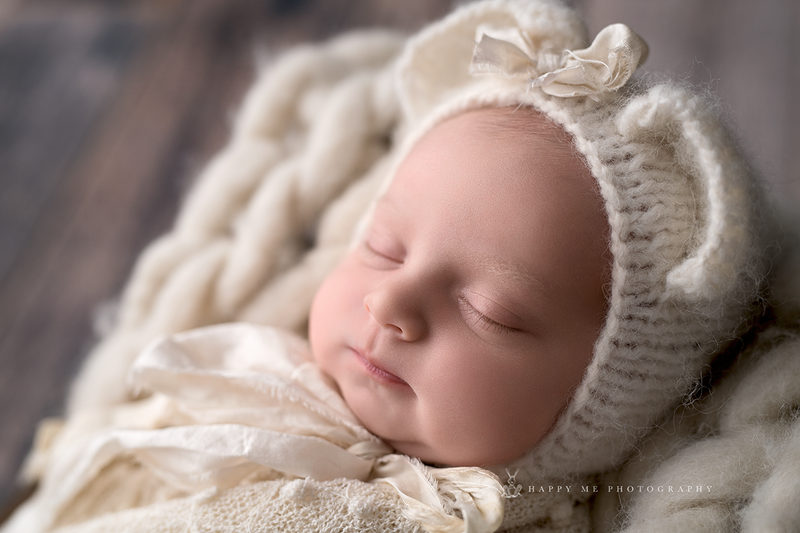 Little Charlotte tried so hard to stay awake for the rest of her photoshoot, but she was just too sleepy. That’s ok though- we got some great pictures! Mom, Nicole looked down lovingly at her new bundle of joy, while dad grinned ear to ear in his pictures with her! Let’s not forget about her big brother, he nestled right up next to her for his solo shots with her! Thank you Charlotte for coming to visit me! 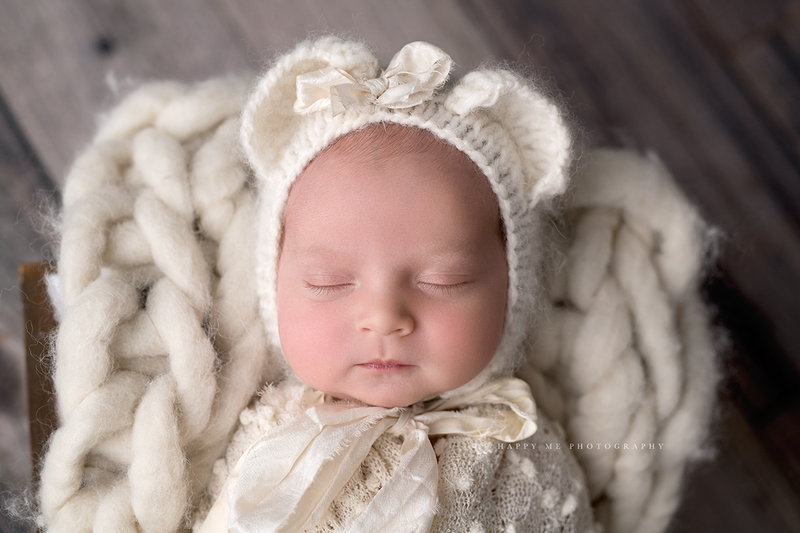 If you would like to schedule your newborn shoot or if you have any further questions, please email me at nieshkaphoto@gmail.com or call me at 415-269-6669.